Memorable Sunsets at Sunset Watch! Second Floor Living Room with Balcony! Sunset Watch at Seacrest Beach 30A! Fully Equipped Kitchen (Second Floor)! 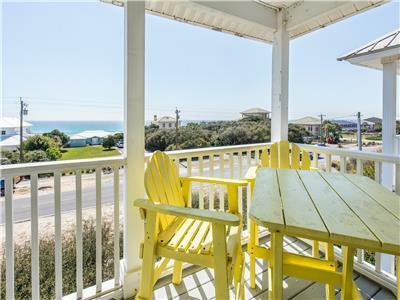 Beautiful gulf views and family fun best describe our Sunset Watch at Seacrest Beach 30A vacation rental property; offering rejuvenating accommodations for up to 16 guests in 4 bedrooms and 4 bathrooms. 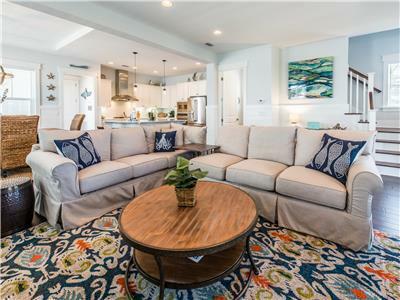 Located on scenic 30A, across the street from beautiful sugar white beaches, this 3 story single family home has all the makings for an unforgettable beach vacation. Each floor holds an outdoor deck for every guest to get the most of the sun and gulf views. 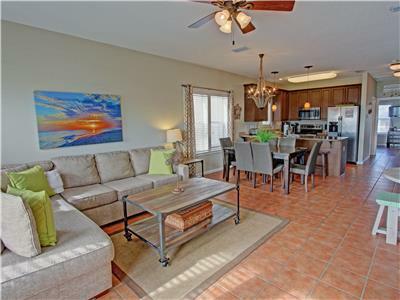 The home is within minutes of all the shopping, entertainment and dining options 30A has to offer. 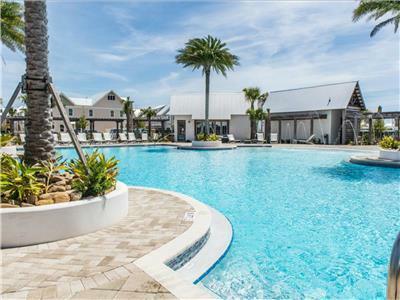 And With only 12 homes, the community boasts quick and easy access to an uncrowded beach and community pool. Up the stairs located on the second floor, you are greeted by a large, airy living room with ample space to entertain the whole extended family. A full size kitchen offers all the essentials including plates, cutlery, cookware, etc. The dining area features a 6 person dining room table, a breakfast bar with seating for 4, and additional seating for 4 in the dining nook. 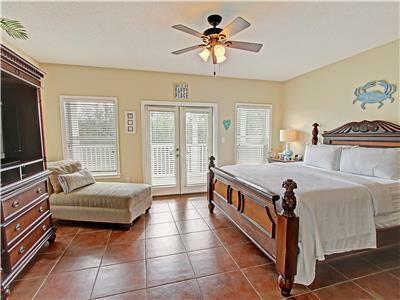 On the same floor, you will find a Sleeper Sofa in the Living Room, and a Queen Bedroom with a daybed and a trundle. 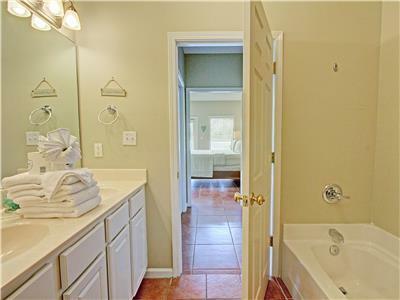 Downstairs on the first floor you will find an additional two bedrooms. 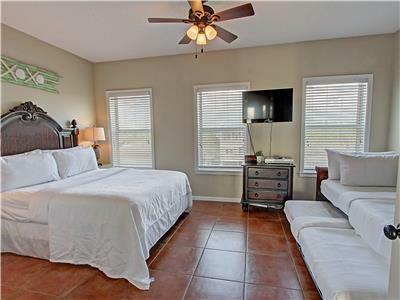 The master bedroom holds a king size bed, with a personal T.V., a private bathroom, as well as a personal covered patio. The additional guest bedroom holds a queen bed and a set of twin over twin bunks with private bathroom, and personal T.V. 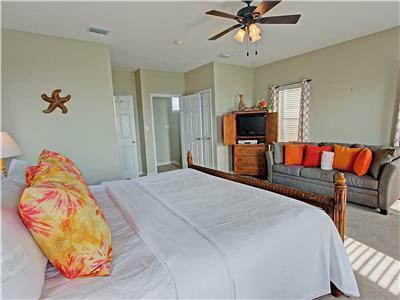 The third floor holds an additional bedroom with a king bed and a sleeper sofa with a private bathroom, as well as a balcony with expansive views of the gulf. 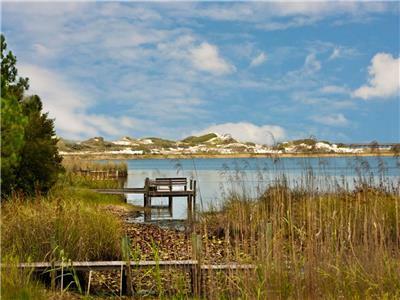 Seacrest Beach is known for having the highest sand dunes on 30A and is home to Camp Creek Lake, an undisturbed rare dune lake surrounded by walking trails. 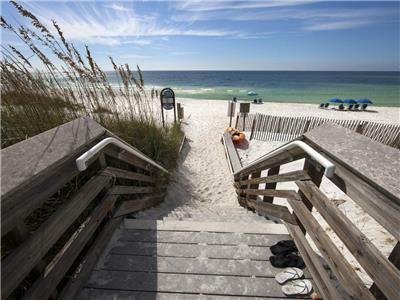 Seacrest Beach All Seasons Attraction 3605 ft.
Alys Beach All Seasons Attraction 1.34 mi. WaterSound	 All Seasons Attraction 1.54 mi. Seacrest Sundries Restaurant 2.04 mi. 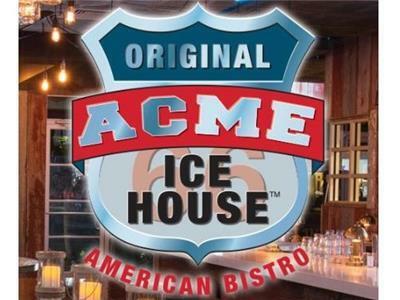 Acme Ice House American Bistro Restaurant 2.04 mi. 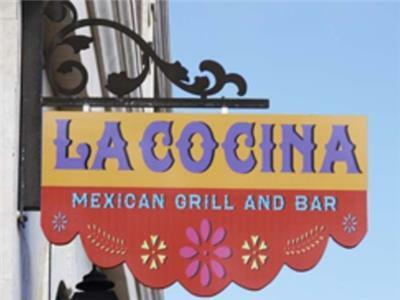 La Cocina Mexican Grill and Bar Restaurant 2.04 mi. 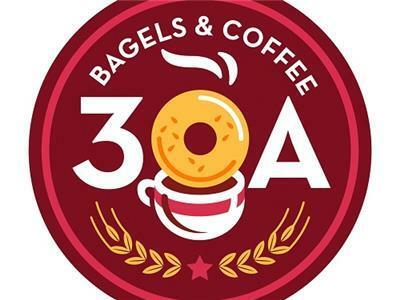 30A Bagels and Coffee Restaurant 2.04 mi. 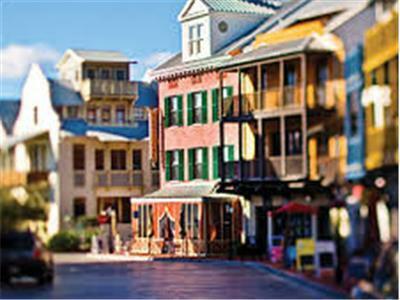 Rosemary Beach All Seasons Attraction 2.34 mi. 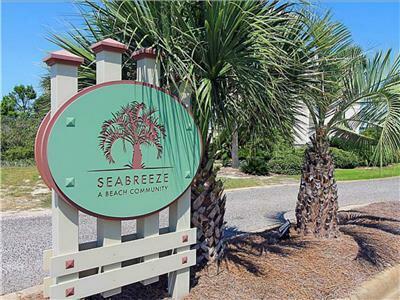 Inlet Beach All Seasons Attraction 2.78 mi. NatureWalk All Seasons Attraction 4.91 mi. This stay was for my family's annual vacation. A total of 13 family members stayed with ages ranging from a late 60 year old down to an infant. There was plenty of space for everyone to have some privacy and just as much space when we all wanted to come together and enjoy time with family. Everything looks exactly as pictured and was in a nice quiet neighborhood . The house was clean and very well stocked (even had beach and pool toys in the downstairs closet). The kitchen had all the utensils you can imagine.Tons and tons of extra linens provided and plenty of towels to go around! This location was right across the street from a beautiful beach with easy access. We all had a lovely time. Thanks so much to the owner for opening up their home to us, they helped us create some beautiful and amazing family memories! We loved it. Plenty of room and then some for our group of 13. Beach access right across the street! I'm rather picky about staying away from home and was very pleased with this property. Was clean and furnished well. More then what we would have ever used in the kitchen. 1 burner on the stove top did not work but only cooked 1 day so wasn't too concerned. Beachwalk customer service was excellent and on top of anything we needed. The air was froze up before we got their and they already had a service tech in route and let us know before our arrival. It froze up again half way through our stay and they sent someone out immediately to fix it. Only thing we didn't care for was there wasn't a whole lot to do right there close. Had to drive into Panama most days for dinner and activities outside of the beach. We were overall pleased with the house. The access to the beach was a short walk and the beach was not crowded. The community pool for the houses however is quite small and was the temperature of a hot tub. Our kids were disappointed about not being to swim more than ten minutes without overheating. 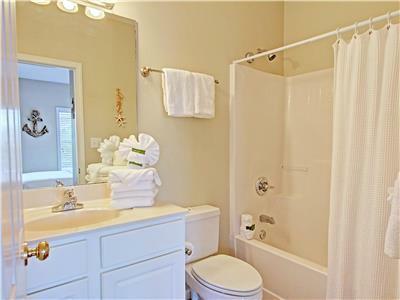 We love the house which was fully equipped in all areas! We had 15 in all, ranging in age from the 70s to age 3. All had a great time! The outside appearance needs a little updating, new shower liners, and electronic updating (xbox 360 and all DVD players didn’t work). This house was the perfect size for our group but parking was limited for a 4 bedroom house (only 2 spaces provided) overflow parking is in grass. There were tons of extra linens, a good number of towels provided, and several beach supplies in the house. The pool was small but never crowded. Overall, i would stay here again. Online description said you enter on the 2nd level where the main living area was(kitchen, living room & queen bedroom). My husband uses oxygen so this was perfect. You actually enter on the 1st level and have to climb a flight of stairs to get to the main level . Felt very bad for my husband because he was stuck on the 2nd level and never left the house all week because he couldn’t do the stairs after the 1st day. Was told the description was wrong and it would be changed. Refrigerator made a loud noise. Was told a part had been ordered and maintenance man turned off the ice maker so we had to keep buying ice. One of the large burners on the stove didn’t work and was told it hadn’t worked in a while. Found a review from 8/28/2017 that said the burner didn’t work way back then. No potholders and only one dish towel & one dish rag. Had to go buy them also. 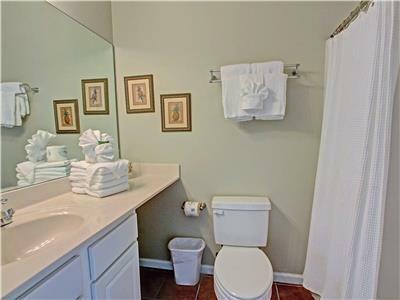 4 bathrooms & only 2 extra rolls of toilet paper. Had to go buy more. 2 coffeemakers but neither one worked. First morning had to go buy coffee for 8 people. A new coffee maker was delivered that night. Some of the pans had crusted food on them but there was nothing to scrub them with, only a sponge. Ran out of trash bags and had to buy more. Dry takes forever to dry a load. The beds were comfortable. Lots of eating area. Nice decks. Very short walk to the beach. The view was amazing, the house was very nice, great places toeat around town. We stayed for one week with another family— total of 4 adults, one teen and 3 little kids. The house was a perfect fit! Only downfalls were a broken burner on the stovetop and a lackluster clothes dryer. Beach access was wonderful, the kitchen was well-stocked as was the beach toy closet. Location was perfect— a short bike ride or drive to wonderful restaurants, coffee shops, shopping and ice cream. Great house, very well appointed. Great house, rooms are huge. Lots of space for lots of people. Nice towels, sheets provided. Everything you could possibly need in the kitchen. The only comment is that the wifi really doesn't work well at all. We were not able to get any service in the house and had to leave the house to work elsewhere. It was perfect for my family! We were provided with everthing we needed. 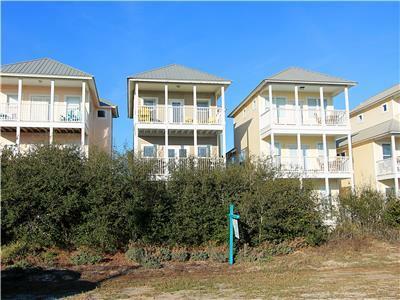 The community was peaceful.The stay was safe.Beach access was minutes away.We were greatly pleased with our stay. The setup of the house was perfect for our group of 13. Each of the families with kids were able to sleep on a separate floor, giving our 5 little ones (the oldest being 7) a chance to get away from each other every day for naps, etc, helping everyone to get along better. The kitchen was well-equipped for our dinners, though we were a bit disappointed with the community charcoal grills that were our only option for grilling out. The fridge was a bit small for our group as well since we planned on eating lunch at the house each day and cooking all but one dinner in. But the pantry was a good size for our dry ingredients. There's a hose at the house to hose everyone and everything off once you get back from the beach, and we used it a lot! 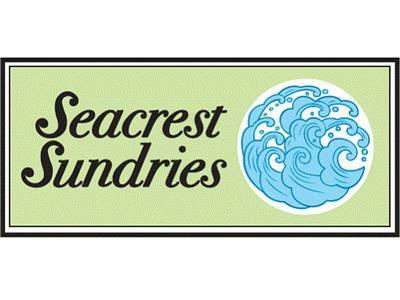 It was extremely helpful, and so was the closet of sand/beach toys and chairs they have!! We took a bunch of stuff but really could've gotten away without taking any of our own. They had plenty! 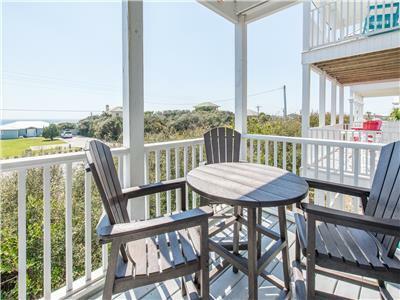 And the location is close to the beach entrance and also within easy driving or biking distance of so many places to eat or shop on 30A. 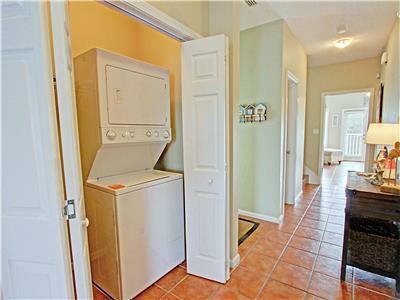 I'd say the two biggest issues we had were that the dryer really didn't dry clothes. We had to restart it over and over to even dry a small load. And my family stayed in the room on the third floor and, while we had ample space, it stayed a bit warm the whole time we were there. On the second day we turned the thermostat as low as the instructions said we were allowed to go (70 degrees) and you could still feel the temperature get warmer as you walked up the stairs to our room. We left the fan on the whole time which made it comfortable, but it would've been warm and unpleasant if we hadn't had the ceiling fan. Other than that the house was wonderful! We had a tub stop up while we were there and they sent someone out the next day. One of the burners didn't work on the stove and they offered to send someone out for that too but we just dealt with it for our stay. The house was comfortable and the setup was perfect for our group of 4 families. We were celebrating my parents' 40th anniversary and they absolutely loved it. Something to think about if you're considering staying here is that there are 3 flights of steps inside the house and the kitchen/living area is up one of those flights, and there are about 50 steps (literally) to get down to the beach. It worked for our group, but if there's someone in your group who struggles at all on stairs, this probably isn't the house for you. We enjoyed our stay. The house provided plenty of room for our family. 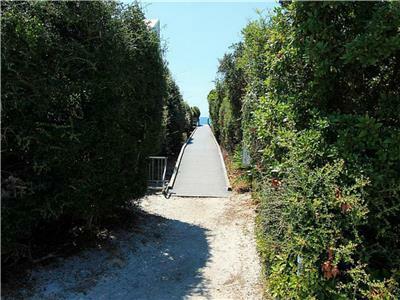 It would have been helpful to know that there were stairs (approximately 50) to get to the beach access. There were items in the cottage that were available for our use - such as high chair, portable crib, gates, etc. that we wouldn't have had to bring with us. It would have been helpful to have a list of these things, so that we wouldn't have had to bring them along. Overall it was a good vacation destination. Love, love, love this beach house! 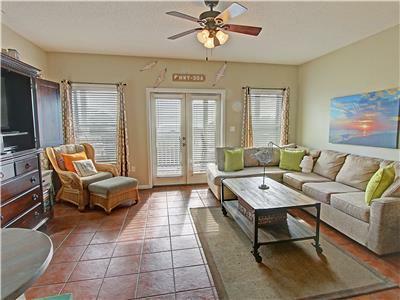 It is Centrally located between Seaside and Rosemary beaches and it is a perfect location for enjoying all the amenities (including grocery stores) offered along 30A. Panama City is less than a 1/2 hour away. 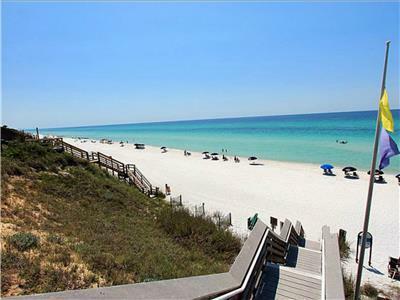 We have so many favorite restaurants along 30A and it’s is an easy drive to all. When the area is crowded, Highway 98 offers a quicker route. I can’t wait to return to this house with my family. 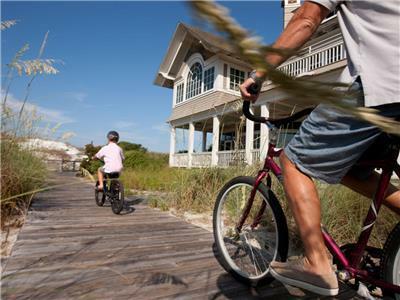 it is the perfect multi-family vacation spot for several reasons: 1. 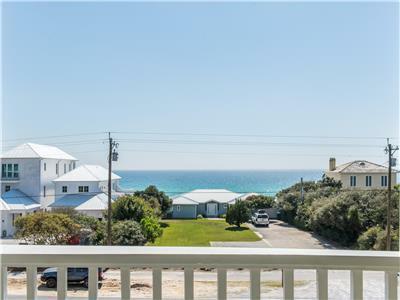 It's one of the few houses across 30A from the beach that offers an ocean view. 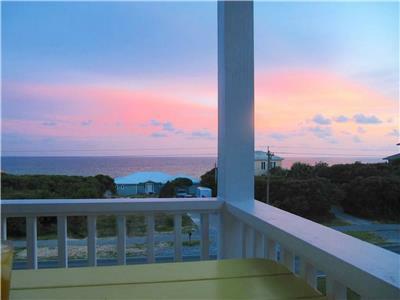 Porches offer beautiful sunset views, and a great view of the ocean at any time of the day. My friend and I enjoyed sitting on the porch each morning with our coffee enjoying the sound of the waves and the wonderful ocean view. 2. 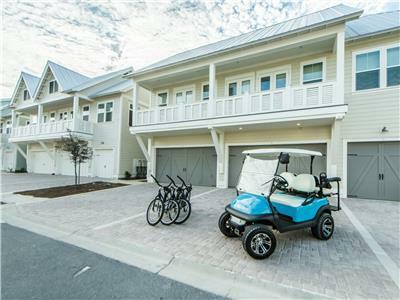 The beachwalk is just across 30A and it is easily accessible. 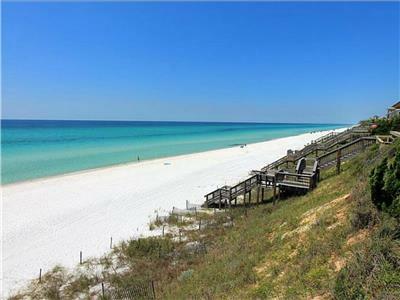 The beach is not as crowded as other sections along 30A. 3. There is a quiet neighborhood behind this house that is a great place for walking and for children to enjoy riding bikes, skateboards, scooters,etc. without traffic. 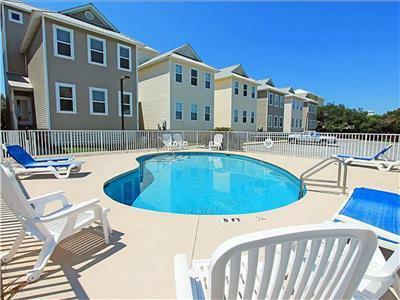 4.The neighborhood pool (for this grouping of beach houses) is just a few steps out the back door. 5. 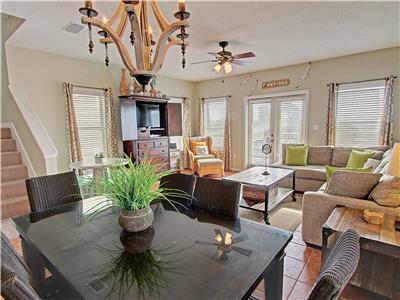 The house is awesome and it is beautifully as well as comfortably furnished. It has one of the best equipped kitchens of any beach house that I've visited. 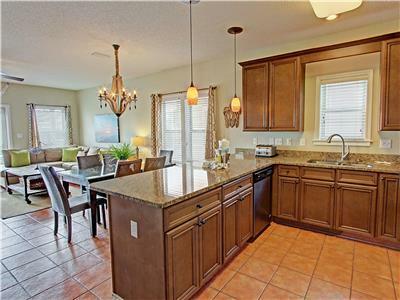 It sleeps a crowd and is perfect for family gatherings with 4 bedrooms, 4 baths, and lots of space. 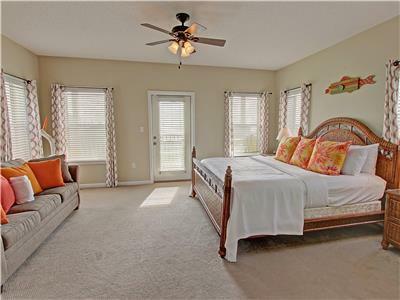 There are extra places for children to sleep in 3 of the bedrooms...sleeper sofa and king bed in the upstairs bedroom, daybed with trundle and queen bed on main floor, and a king bedroom and a kid's room on the ground floor. 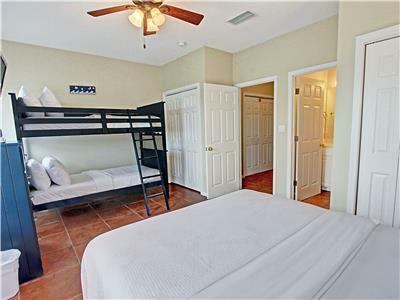 My grandkids always want to have "cousin quarters" and one downstairs bedroom has a queen bed and a bunkbed with tv and xbox for games. 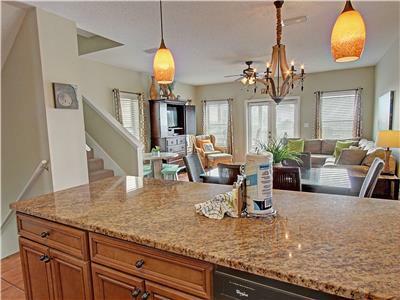 It has a cute kids table in the kitchen/great room that I know my grands would love....plus a bar with 4 stools along with a table that seats 6. 6. There is a "beach closet" downstairs that is filled with beach chairs and beach toys. 7. The ambience of the house is just perfect for a relaxing time at the beach. This is a house that will definitely be booked year after year by the same families. I highly recommend this house!! This property was amazing nothing short of what I expected, well at least for one thing. You have to walk to the beach. I was under the impression that the home was on the beach front. But besides that this home was home away from home. 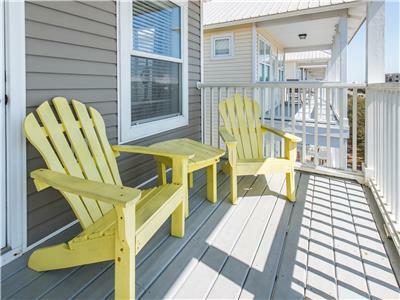 The property had everything you need while on vacation, from the season for your food to the items you need on the beach to the pots and pans to the dishes to the items you need to grill. All you had to bring was your food and yourself. This property is soooooo spacious, me and my family had more than enough room to really enjoy ourselves as well as the kids. And might I add the peace and quiet oooh so wonderful. Everything was clean nice and neat. We really ENJOYED our stay. I will be back to visit again. If you can't be beach front, this location is the next best thing! 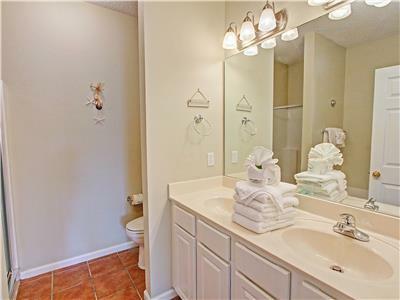 The property was well taken care of and for the most part met all expectations. Suggestions would be room darkening curtains or drapes on windows in all of the bedrooms. The early morning sun made all of the rooms too bright to sleep past 6-7 am. Also, spare batteries for smoke alarms should be kept somewhere for guest. We had to leave late at night to find a gas station and buy batteries for a smoke detector in the home. Lastly, the cable company had done some upgrading during our stay which interrupted our TV service...the last couple of days we only had a few channels of TV. It wasn't critical...as we spent most of our time at the beach! Just a minor inconvenience! Loved the location and the private beaches were absolutely amazing!! We spent a week at this wonderful, relaxing, spacious home. We were one of 2 families who stayed with 5 children under the age of 8. There was plenty of room for all of us. It was super close to the beach for easy walks to and from (which is often needed because of little ones). The pool is another awesome feature for our children or just laying by the pool to relax. The decks on each floor were such a bonus to watch the sun rise with a cup of coffee or a glass of wine at sunset. It is set the perfect distance from restaurants and grocery stores so you can get there to pick up any items that you need, but you don't get the traffic of some of the more congested areas. It is also quiet which was nice when we put the kids down for bed at night, but had plenty of other space to stay up and enjoy time with our friends. We brought bikes and rode around to some of the shops that are within a mile of this property. The beds were so comfortable; there were plenty of linens; there were beach items (chairs, umbrellas, etc) for us to use which made it so convenient. Having laundry in the unit was also nice so we didn't have to pack as much. There is a pack and play there for our friend's little one to sleep in which was nice. Our children enjoyed having free wifi to play some of their games during downtime. 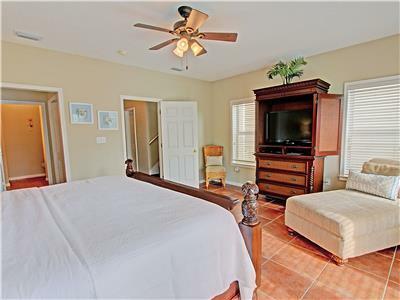 There are TV's in each bedroom to watch movies or just relax watching the news. There was also a game system there to play games or watch DVD's. We will definitely rent this place again and tell our friends about it because the location is perfect and it made the week very easy for us. 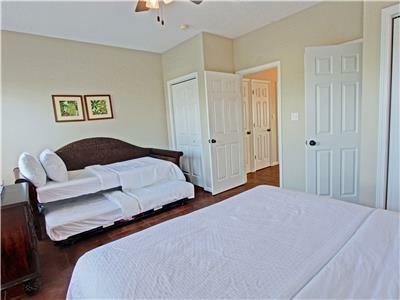 Good location, Very nice, clean, & had everything we needed. Quiet & a short walk to the beach. We didn't experience any problems & would stay here again. Plenty of room for a big group.
" 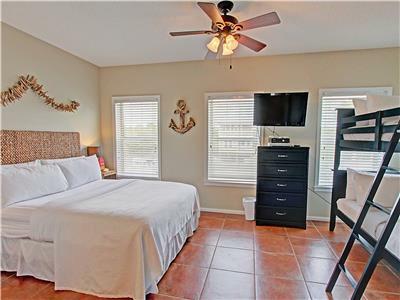 I have stayed in this beach home on two occasions and I would highly recommend it to anyone. 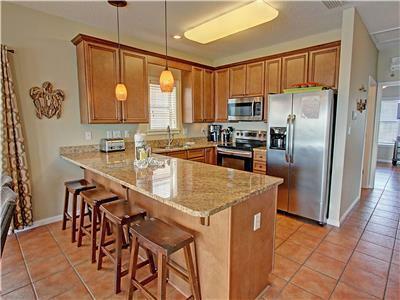 It is beautifully decorated and has the most complete kitchen I have ever seen in a rental unit. 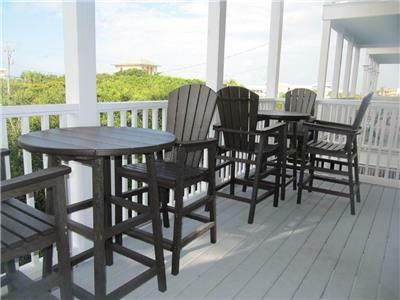 It is directly across from the beach and provides beach chairs and other items for your beach use. 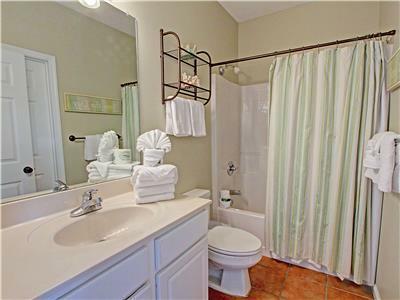 This is a spacious unit and extremely reasonable compared to other homes it's size. My family and I look forward to renting it for many years to come. "